Triad of Health Publishing was established in 2009 to offer educational materials to chiropractic professionals interested in the relationships between structural, chemical and mental factors in health and disease; and the effects of structural corrections and natural health care techniques on normalizing the disrupted tissue physiological homeostasis. Triad of Health Publishing also offers educational materials for doctors to give to their patients that address their symptoms, treatments and results that can occur with a PAK® practitioner. These educational materials include brochures and texts authored by various doctors that cover many of the common conditions examined with PAK® methods to determine the appropriate therapy. Click Here to learn more about the effective way to use patient education brochures. 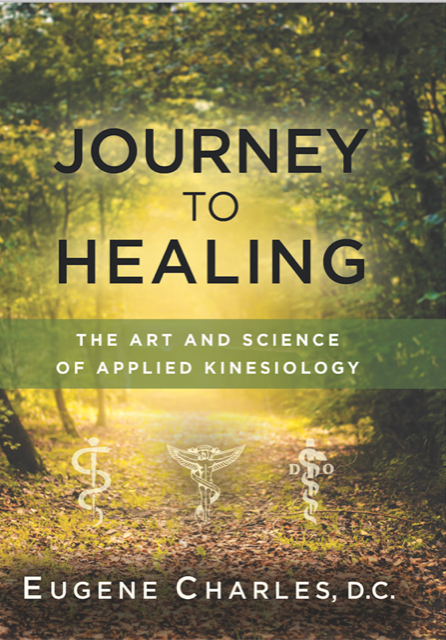 "As Journey to Healing progresses, readers receive not just an overview of Applied Kinesiology's history and a contrast between its methods with those of traditional medicine, but a series of case histories that illustrate its successful applications for anything from low back pain to heart palpitations and asthma. * How Applied Kinesiology grew to become a world-wide phenomenon. * Fun Facts that relate with the “scientific magic” of AK; such as that your body has 60,000 miles of blood vessels and that muscles are actually organs. * Attention-grabbing, real-life stories of AK helping people with low back pain, headaches, ADHD, sports injuries, infertility and stress-related conditions. These stories will educate your patients—and inspire them to tell others about YOU! SEE MORE HERE and PURCHASE YOUR COPY(S) TODAY! *SPECIAL* ICAK members will get one FREE book for every block of 5 ordered at one time! 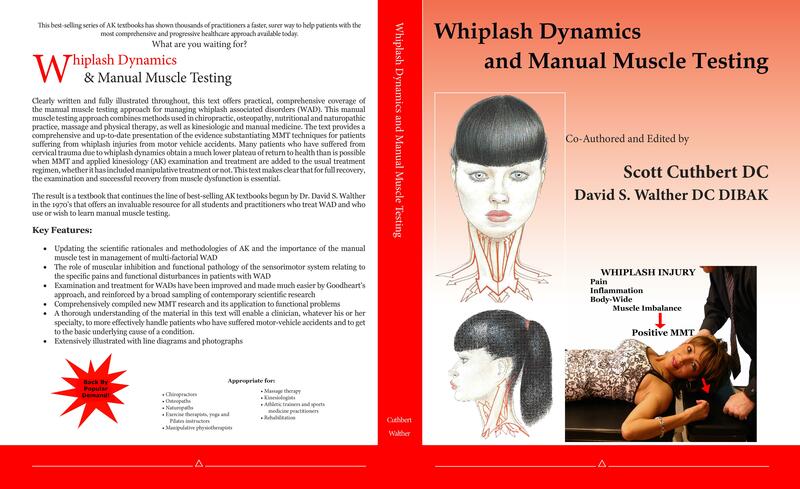 "Whiplash Dynamics and Manual Muscle Testing” by Drs. David S. Walther and Scott Cuthbert has just been released and we’re thrilled with it! It’s bigger and better than ever, with updated original information plus new material not in book form until now! 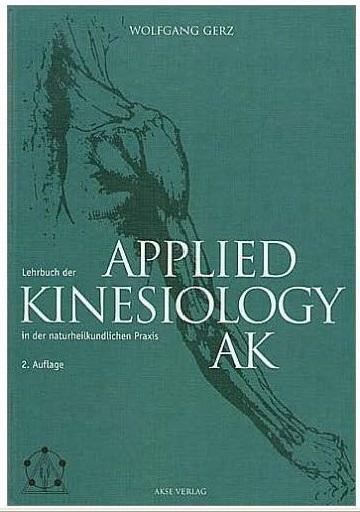 Applied Kinesiology manual muscle testing and the evidence-based management of Whiplash Associated Disorders have been combined to give you the most comprehensive textbook on the scientific evidence for managing patients suffering from whiplash trauma. Without a doubt, the area of auto accidents/personal injury has been the plum within chiropractic and manual medicine. Med-pay/No-fault insurance covers chiropractic care and, most of all, the medical field cannot help the majority of whiplash cases. So this market is wide open for the sufficiently trained manual muscle testing clinician to farm. This book will improve your ability to help your whiplash patients on their road to recovery. It will vastly improve your working knowledge of the use of the manual muscle test for treatment of this challenging condition. It will also be widely used as a clinical reference text for all involved in the assessment and management of neck-related pain disorders. Click Here to learn more. To support ICAK-USA Research always shop at smile.amazon.com when using your Amazon account. If you are an health-care professional and would like to become and ICAK-USA Member please CLICK HERE to review qualifications and process.